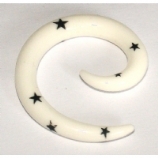 This section features a selection of stretched ear jewellery which we classify as stretching tapers. 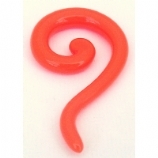 Stretching tapers are mainly used to enlarge the piercing and are replaced with plugs or flesh tunnels once the stretching has been done, but some styles such as crescents and spirals can be worn as ear-rings also. 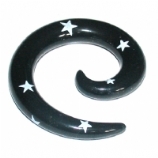 For more information on stretching piercings, see our Stretching Guide. 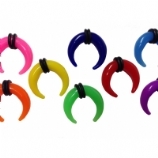 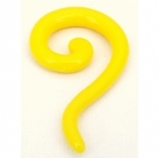 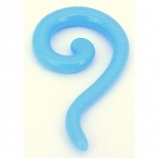 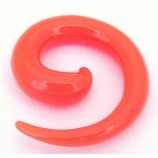 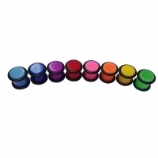 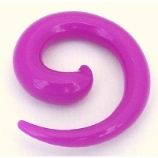 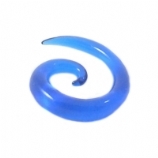 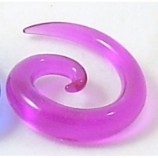 For sets of ear stretchers, why not have a look at our stretching kits? 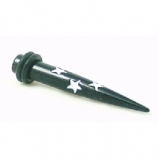 Buying all your tapers at once can make your hard-earned pennies go a little further.